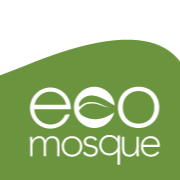 Our Vision is to build the first ecological mosque on a UK University campus. Join us on our journey. Ecomosque is a unique and exciting project, that will function as a Mosque, community hub and centre of educational excellence, where the true essence of Islam will live and breathe, pushing back the darkness of ignorance. It is the first Masjid in the UK that will be built on a UK University campus.